Home / Do You Need Higher Rankings and More Traffic to Your Website? 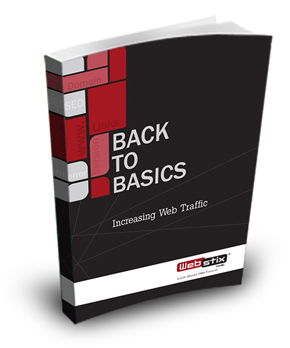 Do You Need Higher Rankings and More Traffic to Your Website? Not having enough website traffic is a problem. You’ve built a good website, so it should get traffic… right? Having a website is kind of like having a phone number. Just because you have one doesn’t mean it’ll ring. You need to advertise it or get it where people will see it. This means your website needs to rank high on search engines. There is definitely a combination of things that needs to happen for your website to get traffic. Some things are simple and some take a bit of work. If you don’t know the steps, then that’s like driving to a destination without a map or GPS – you’ll never get there. Luckily, we’ve put together a guide to help you learn what it takes to get more traffic to your website and a list of things that can help you get more traffic to it if your previous / current web designer failed to do a bunch of essential tasks. By just fixing a few things that might have been missed when your website was set up, it’s possible to boost your website rankings in just a few days. We’ve done these exact tasks for clients that have come to us asking for help getting their website ranking higher and they worked! This just goes to show you how you want a website design company that does things the right way – the way that does not penalize your website or put you behind your competition because your web designer forgot, was lazy, or just plain didn’t know these things. This is a 100% FREE, instant PDF download! Enjoy the book! Get the blueprints to get more traffic! We do not sell or share your information with anyone. We only collect information like your name, email address and phone number so we can get in touch with you on our new E-Books and services offered.